To be honest, it's been hard to keep up with this. I'm not even halfway through yet. I'm going to try to keep going even if it can be overwhelming at times! :) That's why I've had to put some weeks together. P.S. 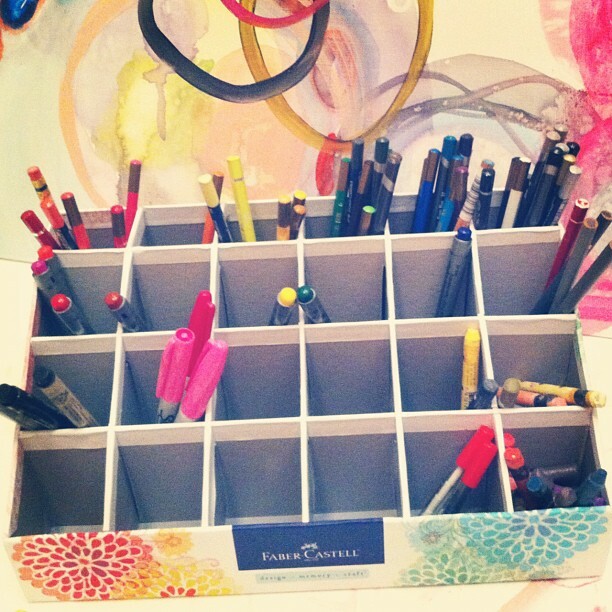 Check out my new Faber-Castell Mix & Match Studio Caddy. Oh yeah. I had to have it once I saw it :) Now I'm all organized instead of having everything in seperate tins + pouches. I really wanted this one that is filled with goodies, haha. I prepped a birch panel to start a new painting. I haven't been painting these past 2 weeks. I kept putting off this post thinking I would. I'm not sure what my next move should be + I'm thinking I want to start a new one. I have plans to go buy some birch this weekend to paint on. 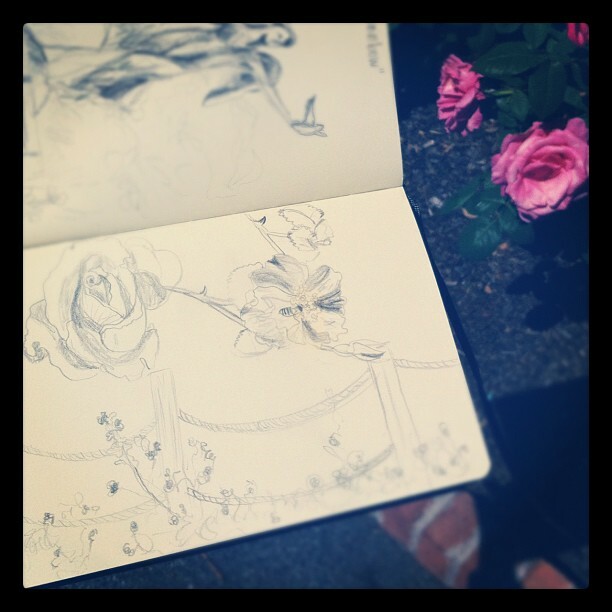 I did do more than 1 sketch in the past few weeks. You can see them in this post. 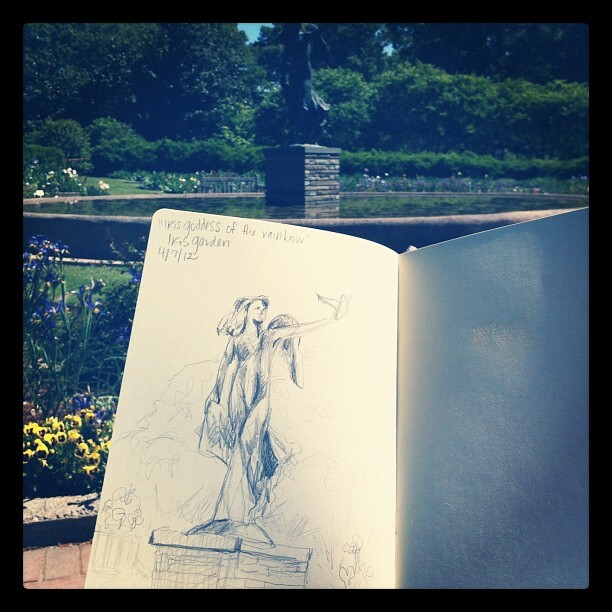 I am meeting with Urban Sketchers this Saturday at Memphis Botanic Garden. It will be my first time back since I got married there almost a year ago :) I'm excited. I'm sure I'll get all sappy, haha. I'm still working on this one. I got a little distracted by The Hunger Games, but I plan on getting back on track with painting this weekend. I rarely ever like my dreams. Do you? Mine are usually scary, embarrassing or something that I would never do in real life (and that's not a good thing, haha). Just a sketch of stuff on my messy desk...crappy photo + a hot pink finger nail. Yep.